Ruth recently shared one of the worst-kept travel tips secrets out there: TSA PreCheck. For everyone out there that rolled their eyes because they’ve known about TSA PreCheck since 2005, I’m about to one-up my better half. While TSA PreCheck is life-changing and an absolute must for every traveler, there is another travel hack that allows you to epicly shortcut those airport lines and fast-track yourself out of there. One of the worst parts of international travel is the sometimes eternal wait at customs upon landing at the airport back in the U.S.
You may have heard of Global Entry, which allows for expedited clearance through customs using automated kiosks. Global Entry has the perks of TSA PreCheck with an international scope. It’s ideal for regular international travelers. The problem, however, is the application process. It can take months to secure an appointment–not to mention the online application which requires detailed address information of every place you’ve lived since birth (slight hyperbole). It also costs $100, but this is less of a concern if you have our handy dandy Chase Sapphire Reserve. If it took Ruth and I years to sign up for TSA PreCheck, we ALL know Global Entry ain’t happening. I’ve accepted the reality. 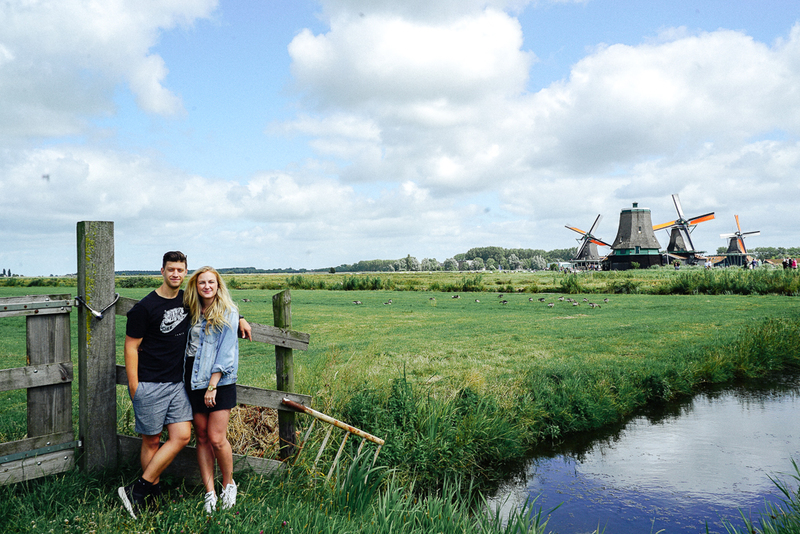 Photos from our trip to Amsterdam last summer. Enter Mobile Passport. Think Global Entry, but free. Think Global Entry, but 2 minutes to access, not months. Too good to be true? Mobile Passport is real, people. The only caveat is that the program is limited to certain airports, and Mobile Passport only works coming INTO the U.S.–as opposed to Global Entry which is worldwide (full list of participating airports on the website here). I recently discovered and subsequently utilized the Mobile Passport app on a trip back from Austria. My seat on the plane was a few rows from the back. When we landed in SFO and after 95% of the people got off the plane ahead of me, I pulled up the Mobile Passport app on my phone. It took 30 seconds for me to answer a couple of questions on my walk to customs, where I followed the “Mobile Passport” line straight to the customs counter. AHEAD OF ALL THOSE SORRY FOLKS. I was one of the last people off the plane and the FIRST out of customs. If that isn’t magic, I don’t know what is. To apply, simply download the app, create a profile, and you’re ready to go. Next time you land in the US from overseas at one of the participating airports, pull out the app, answer the questions, and walk like royalty to your freedom. Americans can travel to Canada and Mexico without a passport if they arrive by land or boat. But most people dont have the types of IDs required. So it would be easier to just get a passport, and it is worth paying extra to also get a Passport Card. A passport card can let you enter the USA again from Mexico by land, maybe boat also. Also with the passport card you can get in a line that is faster than the line for people with a passport. The Passport card has some smart features than even the new passports dont. So you can get in the faster line. As of now(4/2018) SJC only has one line capable for MP. So it’s actually slower than regular US Citizens/PR lines.